Google finally takes the wraps off the new flagship devices for this year. As mentioned in yesterday’s post, Google is announcing two new devices, Nexus 6P and Nexus 5X, the 6P made by Huawei whereas the 5X by LG. The prices we mentioned yesterday seems to be right as well, with the Nexus 5X starting at $379 and the 6P at $499. Pre-orders will be starting from today but will ship on October. 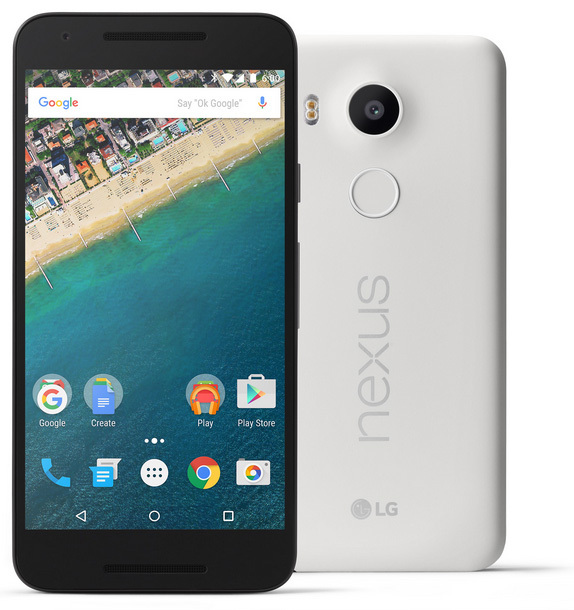 LG Nexus 5X aims to bring back the spirit of the previous LG Nexus 5 that was released in 2013. The 5X features a 5.2-inch IPS LCD FULL HD display with 423ppi and is powered by a six-core 1.8GHz Snapdragon 808 processor, 2GB RAM and a 2700mAh battery. For the camera, the phone has a 12.3MP rear camera with laser autofocus and a 5MP front facing camera. The device will be coming in two variations, 16GB and 32GB and will have three colors: light blue, white and black. Though the device comes in a plastic body, the price could have been much more less than the announced one. 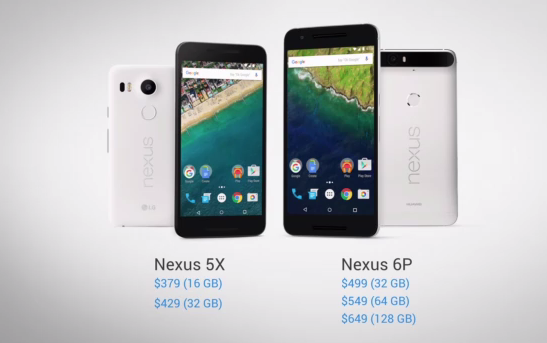 On the other hand, the Nexus 6P is the bigger version of the two and is more expensive as well. Instead of having a 6-inch display, as mentioned in the model number as 6P, the phone has a 5.7-inch 1440p display and is powered by an eight-core 1.9GHz Snapdragon 810 processor, 3GB RAM, massive 3450mAh battery, 12MP rear camera with 8MP front camera. The Nexus 6P will be coming in three variations: 32GB, 64GB and a 128GB and will have three colors as well: graphite, aluminium and ‘frost white’. For the Nexus 6P, the device has an aluminium body which makes it even more lucrative. In the keynote, the presenter mainly focused on the camera quality and emphasized on the low light perofrmance of the Nexus 6P and praised it to be better than the newly announced, iPhone 6S. Both the devices will be having the necessary hardwares to take advantage of the new features in Android 6.0 marshallow. The new OS rbings ins fingerprint scanner which means both the devices will have a circular ring called the NExus Imprint. This can be used for unlocking screen, Android Pay and third party apps. Best part, both Nexus 6P and Nexus 5C has USB Type C port on the bottom. Although the manufacturers are different, the front of both the devices has a good similarity with Motorola’s phones. Good thing, both the phones have front facing speaker grills at the bottom and the top. The Nexus 5X has a smooth back with the camera placed at a good location. As for the Nexus 6P, the back side is a bummer. There’s a huge black camera hump on top of the device that makes it look weird. This lone factor can be a decision maker when choosing the two phones. In presentation, the camera was praised to the highest, and now it’s upto us to choose whether to disregard the design and look forward to having a good camera phone. Google has also launched a new warranty program for the Nexus phones, called the Nexus protect. It provides two years of warranty coverage and accidental damage protection which costs $69 for the Nexus 5X and $89 for the Nexus 6P. All in all, the new Nexus device was worth waiting for after the over priced Nexus 6 disappointment.